Detroit Michigan Wedding Planner Blog: Another Contest !! Win A JCPenney Gift Card!!! This contest is open to former brides. 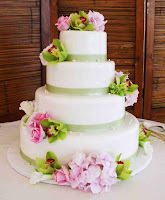 We are looking for the "Best Looking Wedding Cake". Do you think your cake stands out from the rest or you just loved it? Well enter the contest as it doesn't hurt to take a chance! Just email us your picture, name and wedding date for your chance to win a $100 JC Penney gift card. It's that easy! Two winners will be chosen and we will post your cake picture and name/wedding date on the blog. Contests runs through April 20th so get us your pictures now! Please email as a .jpg file with the information required to yourethebride97@aol.com Good luck! Just a little background information on the contest. I received a call from Courtney at New Media Strategies and she explained she is helping JCPenney obtain more exposure in the wedding industry so they are running a contest to help spread the word about their great store and wedding services. So share this information with all brides-to-be that you know! 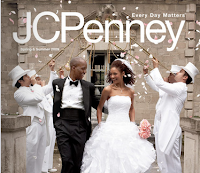 · Registry customers find that JCPenney is a one-stop destination for nearly all their wedding needs – from engagement rings and couple portraits, to salon services including hair, make-up and nails, and luggage for the honeymoon. Along with a selection of merchandise offering style and quality at a smart price, registry customers are treated to expert wedding and homemaking advice on jcp.com; a complimentary wedding planner and organizer that becomes a treasured keepsake; and in-store services such as salon and portrait studio. I am big fan of JC Penney, anyone know, where I could get a good coupon?